Headlines > EU affairs > Current page:: How many MEPs will each country get after European Parliament elections in 2014? 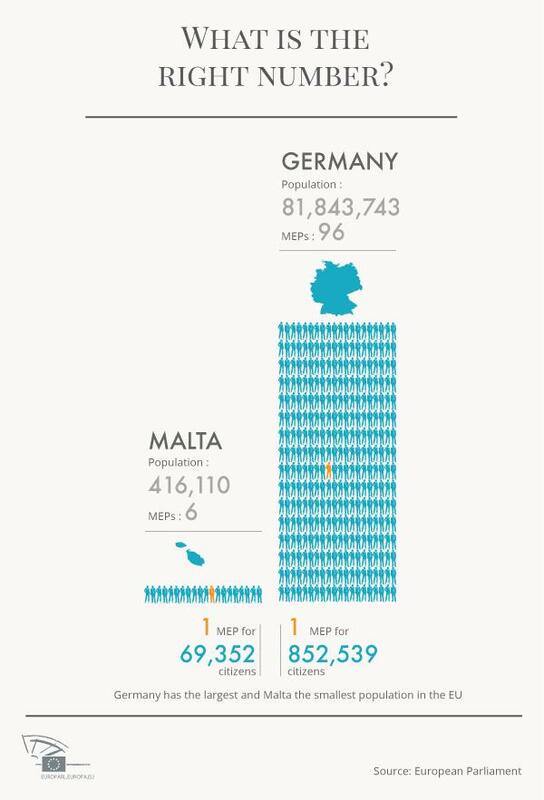 How many MEPs will each country get after European Parliament elections in 2014? EP 2014 elections: less means more? 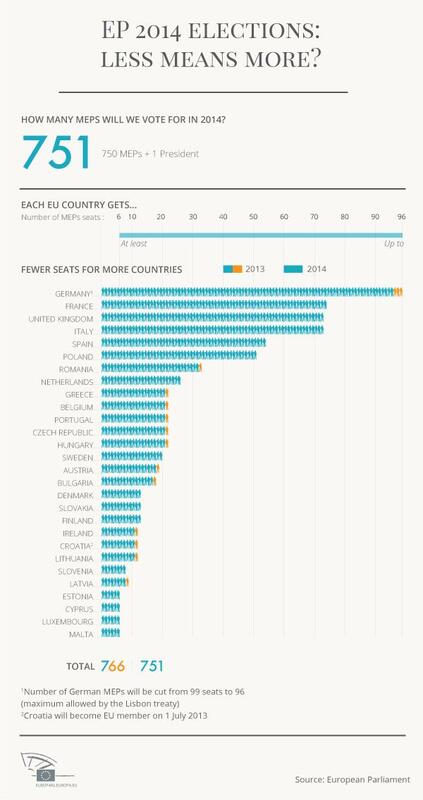 The European Parliament will slim down from 766 MEPs this summer to 751 after the 2014 elections, but how to decide which countries should give up a seat? MEPs decided to opt for the fairest and most equitable solution when they adopted a proposal on it on Wednesday 13 March. The EP currently boasts 754 MEPs but this will be increased to 766 once Croatia joins in July. After next year's elections, this number will have be reduced to 751. Under the proposal adopted by MEPs on 13 March, Germany will lose three seats and 12 countries will each lose one seat: Austria, Belgium, Bulgaria, Croatia, Czech Republic, Greece, Hungary, Ireland, Latvia, Lithuania, Portugal and Romania. EP elections should take place in May 2014, as requested by a resolution adopted by Parliament on 22 November 2012. The division of seats should be according to degressive proportionality, meaning the more citizens a member sate has, the more seats it will get, but also the more citizens each MEP will represent. So MEPs from smaller countries represent fewer people than their colleagues from larger states. The allocation of seats is also being adjusted to take into account changes in the population of member states. While some got bigger, others got smaller. Parliament can submit a proposal on its composition to the European Council, which must then decide by unanimous vote. EP can then approve or reject the decision by the Council, but it cannot change the content of the proposal. What about the Commission president? In response to a request by MEPs, the European Commission announced on 12 March that it recommends political parties to nominate a candidate for the next Commission president in the next EP elections.